Wood Property Services Ltd - Bathrooms, Carpenter, Kitchens based in Cairneyhill, Fife. 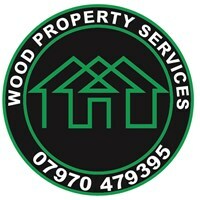 Hi there I am Matthew Wood owner of Wood Property Services. We have been trading for around 3 years now. We have over 10 year experience in both joinery and roofing including flat roofs. Reasons to choose Wood Property Services. - Small business so it will be me you deal with directly all the way through any work that’s carried out. Thank you for taking the time to look at out Checkatrade page please do not hesitate to contact us. Cover all of Fife, Edinburgh and the lothians, Glasgow, Dundee and Perth will go anywhere if required.